Q. 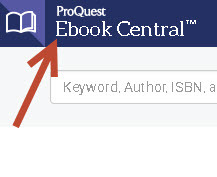 How do I use ProQuest Ebook Central (formerly ebrary) in the Walden Library? ProQuest Ebook Central (formerly ebrary) books are structured just like a print book. You can move from section to section with a few clicks. When you click on the full text for an e-book from the Walden Library's Book search, you may see a screen with ProQuest Ebook Central in the top left corner. This is how you know you are in the ProQust EBook Central database. 1. Look on the left for an image of the book's cover. Under this image you will see a button: Read Online. Tip: Sometimes you may also see an option for Full Download. 2. Click the Read Online button to open the e-book. 3. 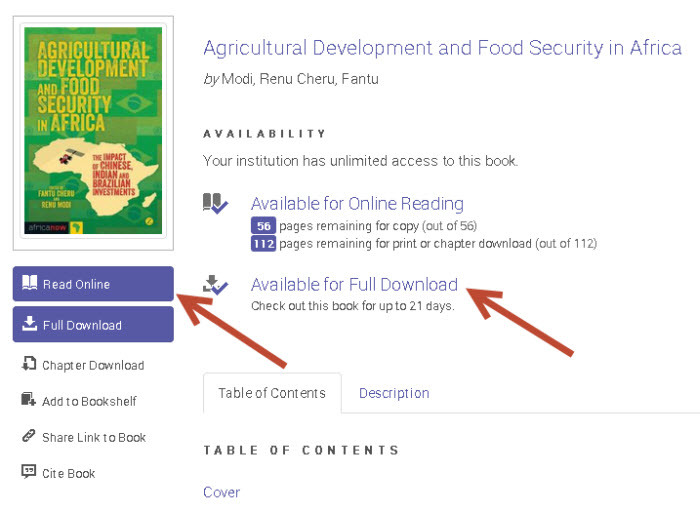 Click on the Table of Contents on the left to jump to a specific chapter or section of the e-book. Tip: You may need to click the arrow next to sections of the book to see the chapters listed. You can also use the arrow buttons in the top right of the book to move forward and backward in the e-book, like flipping pages. 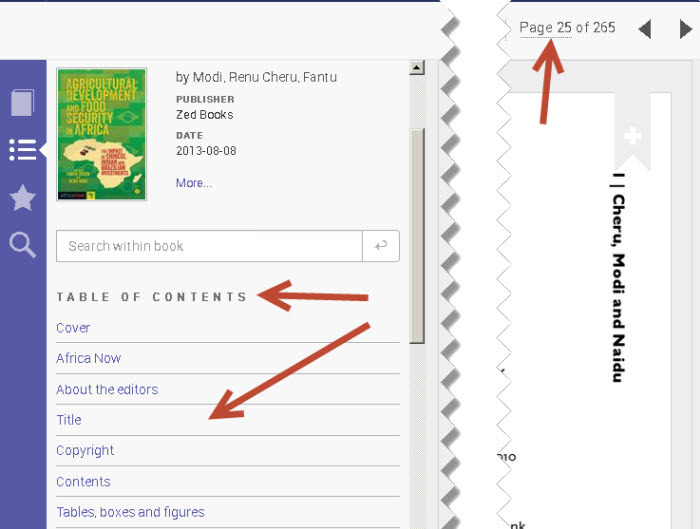 Or, type a specific page number into the box next to the arrows to jump to that page.